September 30th represents the end of ASCE fiscal year and two changes to your Board of Governors will occur at that time. Both Jim Frost, Region Governor from the San Diego Section, and I, Governor At-large from the Los Angeles Section, will be ending our three years of service to the Region. It has been our pleasure to serve the members of the greatest Region in ASCE, and we thank you for all your support! My service to the Region has been a natural progression of my efforts to grow and prosper the best profession, the profession of civil engineering. Simply put, Civil Engineers make the world a better place to live. When you bring that concept to the local level, we beneficially impact the quality of life of everyone we know, and all in your community. We are part of a very satisfying profession. We have high ethical standards, are self-motivating, passionate about solving problems, and understand that the impact of our work will result in improved public health, safety and welfare. 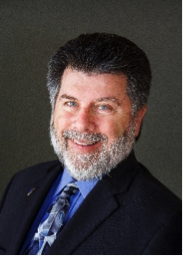 My ASCE leadership path began with service to the Orange County Branch where I served in all of the roles on the Board for a six-year term, becoming President in 2008. It was during this time that I began to appreciate the great depth and breadth of ASCE (the Society) and the value our volunteers bring to our members by enhancing our profession. I then served for five years as the Chair of the Region 9 Transportation and Development Committee, reactivating this important committee and expanding its membership to allow the Region to take informed positions on transportation-related State legislative issues of concern to Civil Engineers. I served for three years on the Los Angeles Section Board, being the president in 2014, and was again impressed with the great volunteer efforts of our members, from Younger Members to Life Members and everyone in between. And, in 2015, I was afforded the opportunity to become one of the seven members of the Region 9 Board of Governors, as one of the two Governors At-Large, serving where needed and enhancing membership value. During this past year, I have held the appointed position of Vice-Chair of the Board providing me an opportunity to assist Region 9 Director Kwame Agyare in his duties. ASCE has also afforded me the opportunity to become a State Advocacy Captain, and to participate in Society level committees as well. During these years of service to ASCE, I have attended several Multi-Region Leadership Conferences, attended Student Conferences, participated in leadership trainings at ASCE headquarters, attended multiple ASCE Conventions, and participated in both State and Federal advocacy efforts. Some of this participation was to improve my personal and leadership skills, but much of my participation was done to simply support this profession. The ASCE Vision and Mission Statements define the core principles of our organization and speak to my purpose in supporting ASCE: Society Vision – Civil engineers are global leaders building a better quality of life, Society Mission – [to] Deliver value to our members, advance civil engineering, and protect the public health, safety, and welfare. As a Region Governor, I have met many ASCE members from around the State; we may come from different backgrounds and have different reasons to be ASCE members, but my impression is always that we all want to make civil engineering the best possible profession. I thank you for sharing your views and perspectives with me as we discussed the topic of the day and ASCE’s Vision, Mission and Goals (www.asce.org/about_asce). I am proud to be a Civil Engineer, and I like to tell people that I love my work and profession. This is my expression of appreciation for the opportunities provided through civil engineering and ASCE. I have a great employer, and that always makes one’s work more enjoyable. But more than that, my work is, simply put, fulfilling. It feels good to improve people’s lives and to help to build a community through improvements to infrastructure. Your membership in ASCE is only the first step in supporting this profession. We are primarily a volunteer organization, with limited professional staff supporting our interests and needs. To keep this organization vibrant and growing, it is necessary that you raise your hand and step up and become an active member of ASCE. There are multiple opportunities for you to contribute to this great organization by volunteering to join standing committees, special event task committees, and/or Boards of Younger Member Forums, Branches, Sections, Life Member Groups, the Region, Technical Groups and Institutes. Consider this article as my personal request that you volunteer to one of these entities. Your participation is important to add your views, experience, passion and knowledge for the continuous improvement of our Society. And, you will get more out of the experience than the time commitment entails. I know this to be true, and I plan to continue to support ASCE through my volunteer efforts. I also recommend that you become an advocate to educate policy makers and elected officials about the importance and need for improved infrastructure funding. As our National and California State Report Cards demonstrate in the clear terms, the State’s investment in infrastructure is woefully inadequate. We are experts in infrastructure. We are the best-informed persons to advise decision makers on the need to invest in infrastructure. 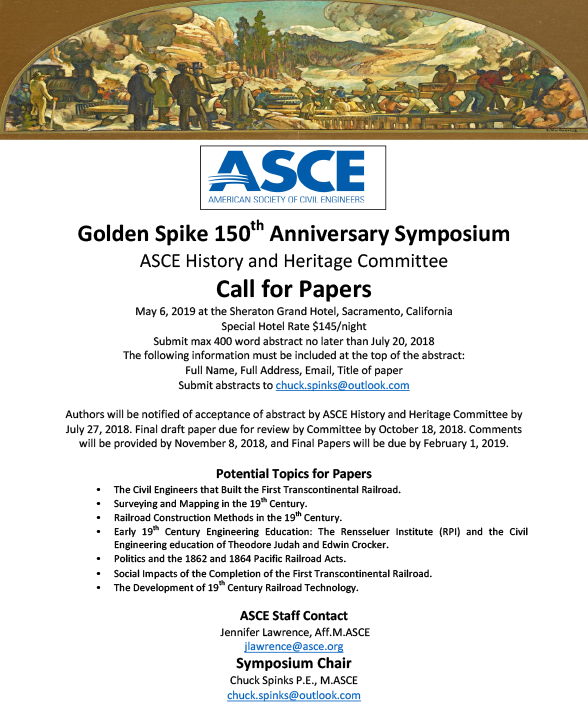 Please join me in continuing to advocate for the policies of ASCE (www.asce.org/public_policy_statements/) and the need for good stewardship of the built environment. ASCE offers great free training in advocacy (www.asce.org/advocacy/) and you should take advantage of these opportunities to make your voice heard. Please join me to continue to advocate for infrastructure improvements. I look forward to my continued service to ASCE and future positions to improve our profession and enhance our members’ value. Please reach out to me if you have any questions or suggestions, at Krosenfield@lagunahillsca.gov. May 14 through 20, 2018, marked the sixth annual National Infrastructure Week held across the country. This year’s Infrastructure Week focused on the urgent need for improvement in U.S. infrastructure, with the central theme: “The future won’t wait. Neither can we. It’s #TimeToBuild.” As a member of the bipartisan Steering Committee for the National Infrastructure Week, the American Society of Civil Engineers (ASCE) along with nearly 400 affiliates hosted events, pushed media attention, and educated stakeholders and policymakers on the critical importance of infrastructure to America’s economic competitiveness, security, and job creation. 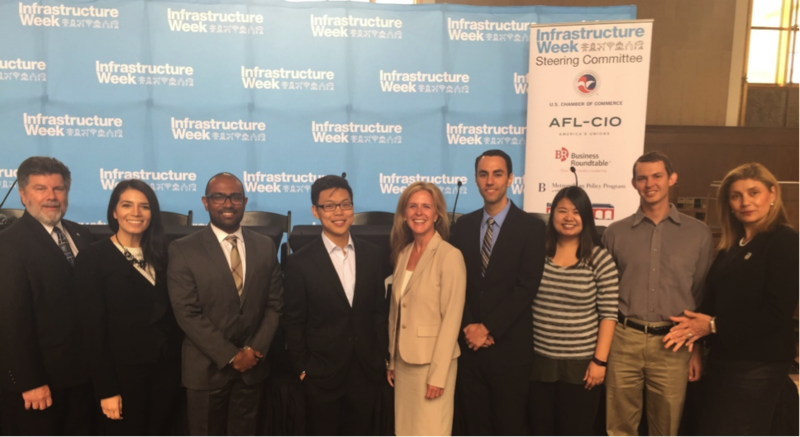 This year also marked the first West Coast Infrastructure Week kickoff held on Monday, May 14th, at the historic Los Angeles Union Station. ASCE President Kristina Swallow offered opening remarks at this event, and she was joined by Los Angeles Mayor Eric Garcetti, along with mayors from other cities across the country and several key public and private business leaders. ASCE Region 9 and the Los Angeles Area Younger Members in particular, were instrumental in organizing this year’s West Coast Infrastructure Week kickoff event. Coinciding with Infrastructure Week, the 2018 Region 9 Legislative Fly-in to the State Capitol (#ASCER9GOVREL) took place on Wednesday, May 16th at the Sacramento Capitol, making it the third year this event has been held in conjunction with Infrastructure Week. Similar to the previous two years, the Region 9 Government Relations Committee (GRC) co-authored an Infrastructure Week Resolution-The Senate Concurrent Resolution 136 introduced by Senator Newman-recognizing the Infrastructure Week in California and urging the citizens of California to join in this special observance with appropriate events and commemoration. SCR136 recognizes that the people of California rely on critical infrastructure, such as roads and bridges, railroads and transit systems, ports and airports, waste and water systems, power supplies, and recreation opportunities. SCR 136 urged policymakers and the public to address the challenges facing traditional and green infrastructure, to move beyond short-term fixes and deferred maintenance, and to envision the innovative solutions, technologies, policies, and investments that will improve the state’s infrastructure today and in the future. Over 70 civil engineers from across California registered for the 2018 Region 9 Fly-In event. A pre-Fly-in webinar was held on May 7th to help prepare the attendees for their visits. Five Issue Briefs were also prepared covering the California infrastructure investment fund, water grants, enhanced infrastructure financing districts, economic development strategic plan, and infrastructure week recognition. The May 16th Fly-In event consisted of a morning training session at the Department of Water Resources in downtown Sacramento, followed by over 65 legislative visits at the State Capitol after lunch. Highlights of the day included: Region 9 update by Kwame Agyare, Region 9 Director/Chair Board of Governors; government relations training by Maria Matthews, ASCE Senior Manager, Grassroots Programs and State Relations; the life cycle of legislation-how a bill becomes a law by Ben Ebbink, Counsel, Fisher Phillips, Sacramento; review of the issue briefs by Richard Markuson, ASCE Legislative Advocate; and Keynote address by Dan Walters, a journalist with over 60 years of experience writing about California’s socioeconomic and political trends. This year’s event had a well-balanced ASCE representation from across the state as well as first time participants with great enthusiasm and engagement displayed by all attendees. It is these types of grassroot advocacy efforts that can result in improving the state’s infrastructure, keeping people safe, and growing our economy. My sincere thanks to all Region 9 members who volunteered their time and participated in our 2018 legislative advocacy day! The ASCE Region 9 Government Relations Committee actively monitors and recommends positions on statewide legislative and regulatory proposals that affect civil engineers and support the standing policies of ASCE. The committee is also responsible for coordinating the annual Region 9 Legislative Fly-In and the follow up local visits, which are intended to encourage an ongoing dialogue between ASCE members and their legislators on issues of importance to ASCE.